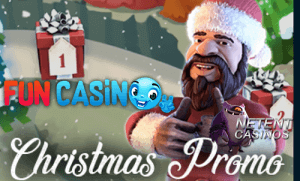 So far, players at Fun Casino enjoyed a great number of Christmas promotions but another 15 promotions are still available until Christmas Day. Don’t miss out on any of the promotions, especially today’s offer as all real money players receive 3 free spins for the Secrets of Christmas™ video slot with a chance to win up to €500 extra if becoming the biggest winner using the 3 free spins! Hohohooo that’s what I call a good deal! Jingle away this December at Fun Casino as another 15 amazing Christmas Promotions are still waiting for you to enjoy them to the max! Until the 25th of December, Gonzo will be dashing through the snow in order to lead you to the next window of Fun Casino’s traditional Advent Calendar. So far, Fun Casino made players happy with lots of extras including free spins for Fruit Shop Christmas Edition™, Flowers Christmas Edition™, Red Riding Hood™, while a slot challenge was available on the Twin Spin™ slot. This all happened but I should not forget to mention the casino bonuses and cashback bonuses players have enjoyed as well. We arrived at day 11 already and this means it’s time to follow Gonzo to window number 11 as Gonzo keeps on volunteering as your personal guide! You’ll be welcome to follow him and take advantage of whatever Christmas promotion he’s leading you to. However, if you’re new to Fun Casino, you’ll miss out on today’s offer, but you have absolutely no reason to be sad for two reasons. First of all, because a super attractive welcome package with two casino bonuses and free spins is waiting for you. 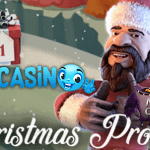 Second, because the Christmas promotions selected for the upcoming 15 days are impressive and will definitely make you forget that you missed out on today’s 3 free spins. After registering, for example, you’ll receive 11 Free Spins for Starburst™, Joker Pro™, Wild Wild West™ or Finn & the Swirly Spin. Fun Casino will also award you with a deposit bonus on your first two deposits. The first one will involve a 50% bonus up to £/$/€ 499. This first deposit will be complemented with 100 Free Spins for the same games as the no deposit free spins before. And when a second bonus is made, you’ll again receive 50% up to £/$/€ 499 but this time without the extra free spins.